Last Friday, we announced the big news. 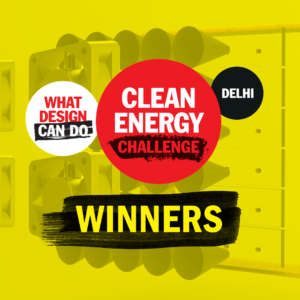 Out of 452 submitted projects to the What Design Can Do Clean Energy Challenge, 57 have been shortlisted for the top prize. 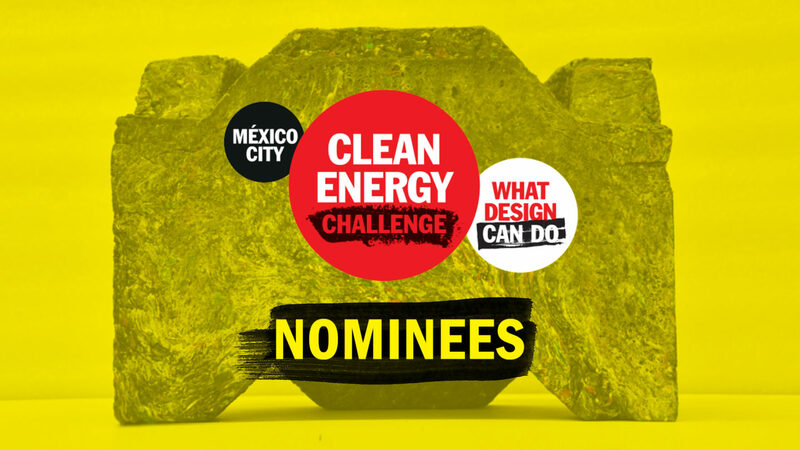 Over the next five days, we’ll be taking a closer look at the nominees for each of the five Challenge cities. First up, we turn our attention to México City, where our review team have selected a total of 12 projects as potential winners! With the help of experts in each region, we crafted five locally specific briefings informed by real stories and global key issues. For México’s capital, the leading question was: How can we encourage people to treat waste as a resource in homes and workplaces across the city? This sprawling metropolis has struggled with waste for many years. The city generates 12,920 tonnes of garbage every day, with almost 90% of this waste ending up in sanitary landfills. But México City is now in a position to be an example for the region. Building on political momentum, we called on designers to imagine new narratives, services, products, spaces and systems to rethink the waste cycle in México City. 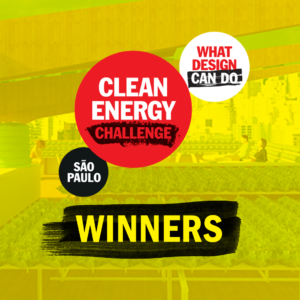 We were thrilled to receive more than 80 innovative ideas responding to the questions above. 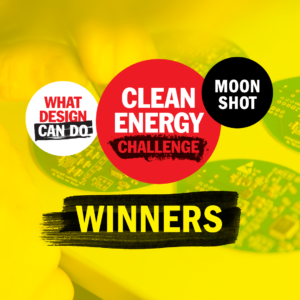 After a rigorous selection process, 2 projects were nominated for the Student Track, 4 projects for the Professional Track and 6 projects for the Startup Track. See them all (in no particular order) below. Congratulations to everyone who participated! PEL is a new typology of disposable plate that works through peelable layers. The product is 100% biodegradable, and designed to reach all supermarkets in the city. Biogrün is an ecosystem of products and services, including a mobile app and four units designed to prevent and reduce food waste in an urban context. 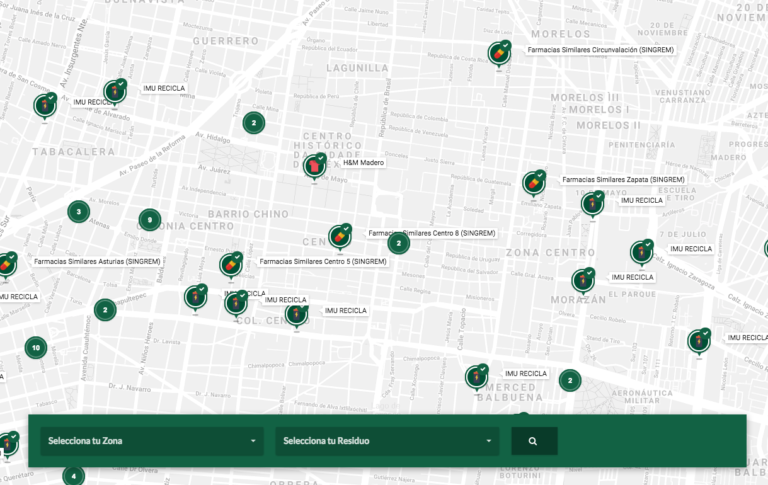 The [in] VISIBLE WASTE project tackles the issue of garbage reduction in Mexico City by creating a platform that centralizes the already more than 250 existing local initiatives that promote sustainable waste disposal practices. The CompO system is a user-friendly chain of products and services that aims to reduce the organic waste in México City, by improving the current separation and collection system and creating awareness. The ‘Escuela Promesa’ program currently runs in 200 schools and universities in the México City metropolitan area. This program aims to create a true environmental culture within schools, through educational and economic incentives like an online voluntary Certificate. 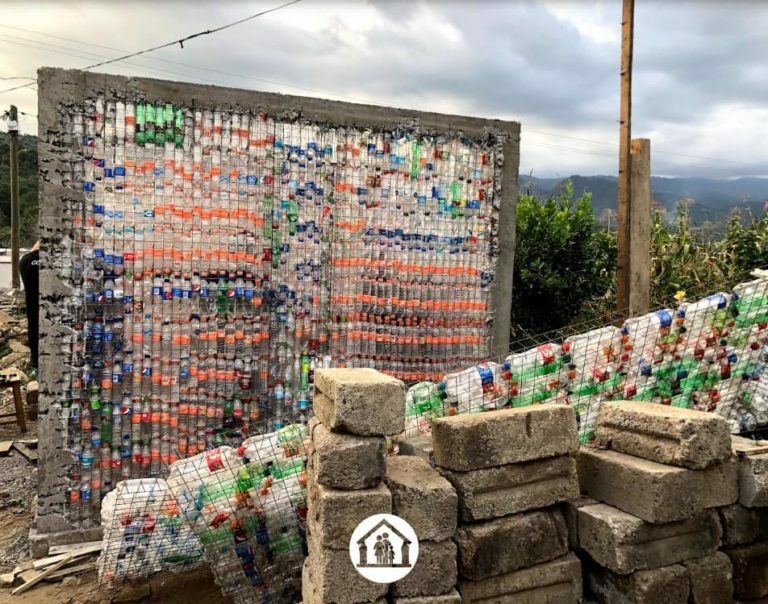 We are a civil organization that was born after the earthquake of September 19, 2017 in Mexico, with the purpose of building homes for those affected by this earthquake, but in a conscious and ecological way using PET bottles. 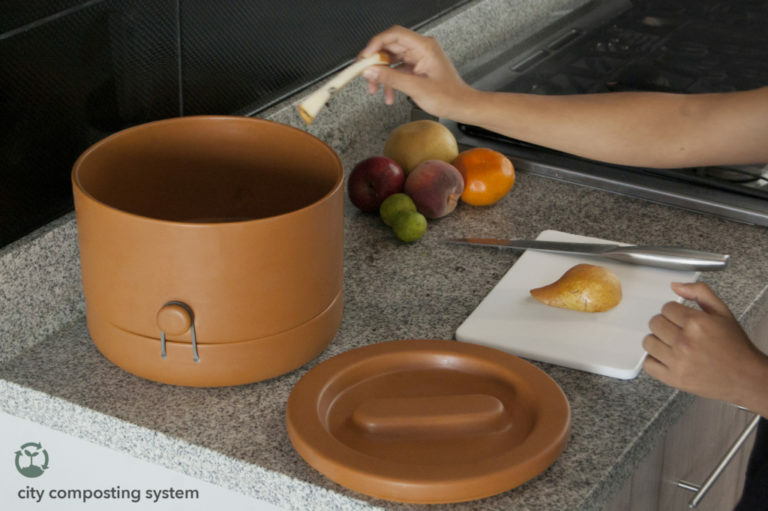 Ecoplaso transforms fruits and vegetables peels and scraps (organic waste) into bioplastic, 3d printing filaments and vegetable-based leather. Plan E is a charity shop aimed at addressing both textile waste and economic inequality in México City. People are encouraged to donate clothes, shoes and accessories. One part of the donations will be given to local NGOs to satisfy the necessities of vulnerable social groups. 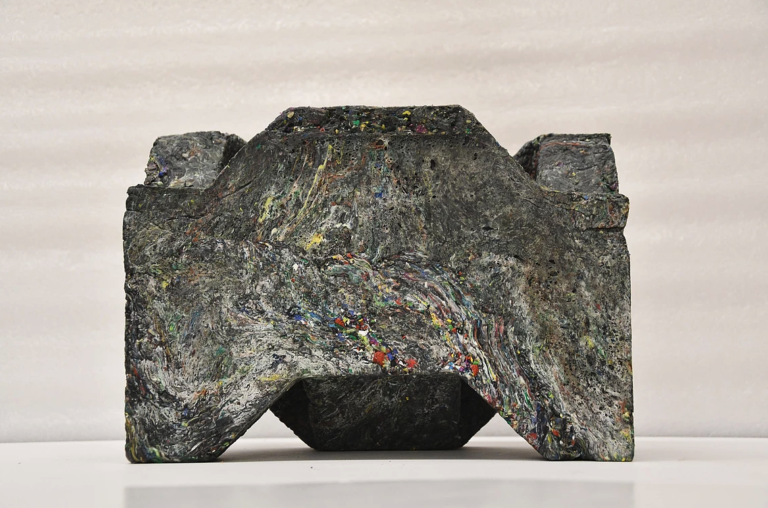 Using local plastic and glass waste to create simple stack-able building blocks, which empowers communities to build their own homes, making housing construction simpler, cheaper, faster and more sustainable. This project synthesizes a biodegradable film from discarded PET bottles, for use in the construction of a solar biopanel. The microalgae and nanofluids within the panel help to optimize its operation, absorbing CO2 and releasing oxygen. Ecolana aims to be the ultimate guide for recycling in México City. 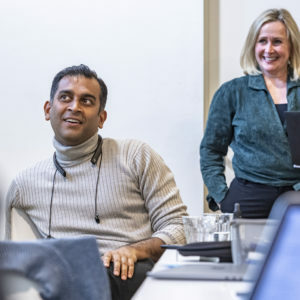 The platform provides access to information and builds connections between two types of communities: recycling heroes (citizens) and recycling centers (collectors). Vitagas is a household digester that transforms organic waste into biogas. The digester generates enough biogas to supply several families with a rate of consumption of 1kg waste = 1hr worth of cooking gas.